We have a tight relationship with our partners that allows us to take advantage of our strengths combined with theirs to create a synergistic blend of talent to satisfy all of our customers needs. FCN Services & Consultation is a Certified Reseller of the NetApp/Vixel/Spectra Logic data protection solution. 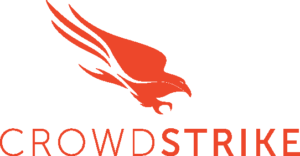 CrowdStrike was founded in 2011 to fix a fundamental problem: The sophisticated attacks that were forcing the world’s leading businesses into the headlines could not be solved with existing malware-based defenses. 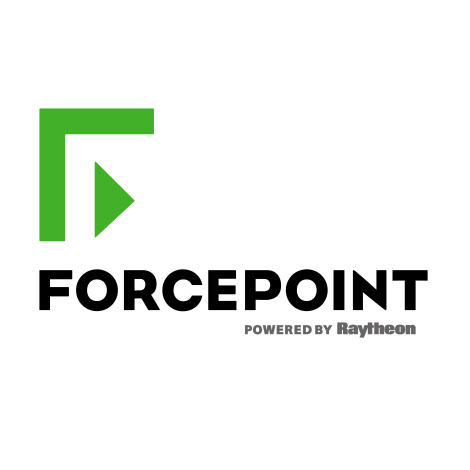 one that combines the most advanced endpoint protection with expert intelligence to pinpoint the adversaries perpetrating the attacks, not just the malware. is a subsidiary of Amazon that provides on-demand cloud computing platforms to individuals, companies and governments, on a paid subscription basis. The technology allows subscribers to have at their disposal a virtual cluster of computers, available all the time, through the Internet. AWS’s version of virtual computers emulate most of the attributes of a real computer including hardware (CPU(s) & GPU(s) for processing, local/RAM memory, hard-disk/SSD storage); a choice of operating systems; networking; and pre-loaded application software such as web servers, databases, CRM, etc. Each AWS system also virtualizes its console I/O (keyboard, display, and mouse), allowing AWS subscribers to connect to their AWS system using a modern browser. offered by Google, is a suite of cloud computing services that runs on the same infrastructure that Google uses internally for its end-user products, such as Google Search and YouTube. Alongside a set of management tools, it provides a series of modular cloud services including computing, data storage, data analytics and machine learning. Registration requires a credit card or bank account details.Google Cloud Platform provides Infrastructure as a service, Platform as a service, and Serverless computing environments. FCN’s offers it’s customers a unique brand of managing and maintaining Assets and Asset Maintenance Contracts. Click Here to see how FCN’s portal can work for you. RedSeal’s network modeling and risk scoring platform builds an accurate, up-to-date model of your hybrid data center so you can validate your policies, investigate faster, and prioritize issues that compromise your most reachable, valuable assets. RedSeal enhances your existing security investments. It works with your physical and virtual devices, creates a network model, and adds network context and access information to your existing security data. You get a comprehensive network-wide view. 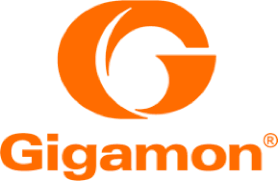 Gigamon provides active visibility into physical and virtual network traffic enabling stronger security and superior performance. Gigamon’s Visibility Fabric™ and GigaSECURE®, the industry’s first Security Delivery Platform, deliver advanced intelligence so that security, network and application performance management solutions in enterprise, government and service provider networks operate more efficiently and effectively. With over ten years’ experience, Gigamon solutions are deployed globally across vertical markets including over seventy-five percent of the Fortune 100. Struggling to contain costs and stay competitive in a rapidly changing economy? Let Blue Coat help you enhance productivity, ensure proactive layers of defense, respond quickly to changing business environments and align your network investments to business requirements. Cisco Systems, Inc. designs, manufactures and sells Internet protocol CiscoGoldLogo(IP)-based networking and other products related to the communications and information technology industry, and provides services associated with these products and their use. It provides a line of products for transporting data, voice and video within buildings, across campuses and around the world. Its products, which include primarily routers, switches and products that the Company refers to as its advanced technologies, are installed at enterprises, public institutions, telecommunications companies, commercial businesses and personal residences. Citrix is the World Leader in application server software and services that provide “Digital Independence” – the ability to deliver any application to any device over any connection. Dialogic Communication Corporation (DCC) is a pioneer and established leader in interactive call processing solutions for business, industry and government. Headquartered in Franklin, TN (a suburb of Nashville), DCC serves over 1100 customers. HP is a leading global provider of products, technologies, solutions and services to consumers and business. The company’s offerings span IT infrastructure, personal computing and access devices, global services, and imaging and printing. Our $4 billion annual R&D investment fuels the invention of products, solutions and new technologies so we can better serve customers and enter new markets. Microsoft’s vision is to empower people through great software – any time, any place and on any device. As the worldwide leader in software for personal and business computing, Microsoft strives to produce innovative products and services that meet our customers’ evolving needs. At the same time, we understand that long-term success is about more than just making great products. Find out what we mean when we talk about Living Our Values. NetAppNetApp creates innovative storage and data management solutions that accelerate performance breakthroughs and deliver outstanding cost efficiency. Discover our passion for helping organizations around the world go further, faster at www.netapp.com. International Business Machines Corporation provides information technology (IT) products and services worldwide. The company operates in five segments: Global Technology Services, Global Business Services, Software, Systems and Technology, and Global Financing. The Fortinet Security Fabric enables the security devices across your entire network to work together to cooperatively remove threats by monitoring devices and traffic, intelligently segmenting your network, and sharing global threat intelligence. riverbedRiverbed Technology is the pioneer and, with over 2,000 customers, the worldwide technology and market share leader in wide area data services (WDS). Riverbed provides the first and only comprehensive WDS solution to a host of severe problems that have effectively prevented enterprises from sharing applications and data across wide areas. By wide area, we mean anywhere in the world. Between Chicago and New York. Or between Seattle and Shanghai. spectraSpectra Logic is dedicated to satisfying the data safety and recovery requirements of large computer data centers. Spectra Logic delivers high-capacity automated tape libraries in association with other partners throughout the industry. In addition, the extensibility and flexibility of the company’s solutions allow it to address widely diverse system requirements. Spectra Logic enables its customers to virtually eliminate the loss of data in the event of computer malfunction, human error or natural disaster. 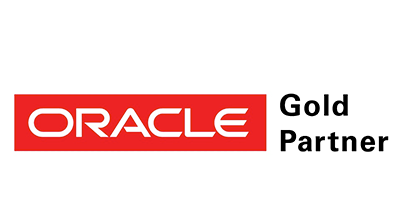 oracleFor more than three and a half decades, Oracle has been the leader in database software. And as it has further developed technologies and acquired best-in-class companies over the years, that leadership has expanded to the entire technology stack, from servers and storage, to database and middleware, through applications and into the cloud. Oracle is shifting the complexity from IT, moving it out of the enterprise by engineering hardware and software to work together—in the cloud and in the data center. By eliminating complexity and simplifying IT, Oracle enables its customers—400,000 of them in more than 145 countries around the world—to accelerate innovation and create added value for their customers. Syncsort is a global software company that helps the world’s most successful organizations rethink the economics of data. Syncsort provides extreme data performance and rapid time to value through easy to use data protection solutions. 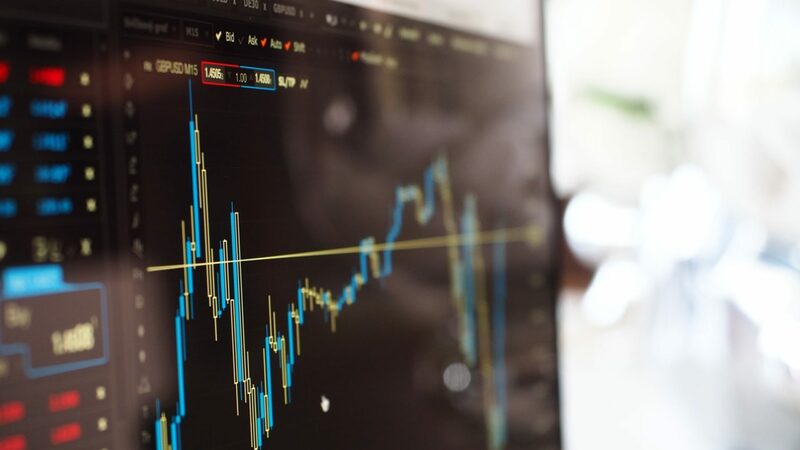 With over 15,000 deployments, Syncsort has transformed decision making and delivered more profitable results to thousands of customers worldwide. For more information visit: www.syncsort.com. clearswiftClearswift delivers contextual information management solutions that enable organisations to empower their data and get on with business. We understand content, your need for data protection and the way people work and communicate. Clearswift’s content-aware, policy-based solutions benefit 17,000 organisations globally, enabling them to manage and maintain no-compromise data, email and web security across all gateways and in all directions. fire-eyeFireEye has pioneered the next generation of threat protection to help organizations protect themselves from being compromised. Cyber-attacks have become much more sophisticated and are now easily bypassing traditional signature-based defenses, such as next-generation firewalls, IPS, anti-virus, and gateways, compromising the majority of enterprise networks. The FireEye platform supplements these legacy defenses with a new model of security to protect against the new breed of cyber-attacks. The unique FireEye platform provides the industry’s only cross-enterprise threat protection fabric to dynamically identify and block cyber-attacks in real time. The core of the FireEye platform is a signature-less, virtualized detection engine and a cloud-based threat intelligence network, which help organizations protect their assets across all major threat vectors, including Web, email, mobile, and file-based cyber-attacks. The FireEye platform is deployed in over 40 countries and more than 1,000 customers and partners, including over 25 percent of the Fortune 100. Thousands of global organizations across every major industry category have deployed Aruba’s products to meet their campus wireless LAN, branch office, and remote networking, and network management needs. From the main campus to the home office to the mobile user, Aruba provides best-in-class products for securely connecting users to information and applications in the distributed enterprise network. With decades of cyber and intelligence expertise, Raytheon offers unmatched, end-to-end capabilities that help you secure your space and confidently navigate the cyber domain. As a large-scale systems integrator, we take a solutions-oriented approach to addressing advanced persistent threats. We continue to invest in research and development – and maintain partnerships that span the globe. It’s all part of helping organizations, government agencies and nations effectively minimize cyber risk and safeguard information and infrastructure. Provides file-by-file backup for basic standard data protection. Capabilities include active cluster server backup, email alerts, hardware failover functionality, and built-in encryption. UltraBac has options and agents like SQL, Exchange, Oracle, Media Libraries, Linux, Hyper-V, and vSphere. Known originally for its load balancing product, today F5’s product and services line has expanded into all things related to the delivery of applications, including local load balancing and acceleration, global (DNS based) load balancing and acceleration, security through web application firewall and application authentication and access products, DDoS defense, and more. F5 technologies are available in the data center and the cloud, including private, public, and multi-cloud environments based on platforms such as AWS, Microsoft Azure, Google Cloud, and OpenStack. The centerpiece of SCTC was its work on security-evaluated operating systems for the NSA. This work included the Secure Ada Target (SAT) and the Logical Coprocessing Kernel (LOCK), both designed to meet the stringent A1 level of the Trusted Computer Systems Evaluation Criteria (TCSEC). The Veeam ProPartner Program is designed to help you take advantage of opportunities presented by the needs of the Always-On Enterprise to grow your business quicker and make it more profitable. McAfee, Inc. formerly known as Intel Security Group from 2014–2017) is an American global computer security software company headquartered in Santa Clara, California and claims to be the world’s largest dedicated security technology company. McAfee primarily develops digital-security tools for personal computers and server devices, and more recently, for mobile devices. Texas Memory Systems, Inc. (TMS) was an American corporation that designed and manufacturered solid-state disks (SSDs) and digital signal processors (DSPs). TMS was founded in 1978 and that same year introduced their first solid-state drive, followed by their first digital signal processor. In 2000 they introduced the RamSan line of SSDs. Based in Houston, Texas, they supply these two product categories (directly as well as OEM and reseller partners) to large enterprise and government organizations. TMS has been supplying SSD products to the market longer than any other company. It develops and markets cybersecurity software to prevent employees from viewing inappropriate or malicious content, or leaking confidential data. It also sells firewall, cloud access, and cross-domain IT security products. GuardianEdge, the leader in endpoint data protection, enables enterprises to safeguard confidential and proprietary data, ensure regulatory compliance, and securely mobilize computing environments. The award-winning GuardianEdge Data Protection Platform combines managed encryption and device control technologies to protect data on laptops, desktops, portable storage devices, and smartphones. GuardianEdge solutions have been deployed by leading enterprises such as Lockheed Martin, Providence Health Services, and The Hertz Corporation to protect millions of users worldwide. GuardianEdge government customers include the Internal Revenue Service; the U.S. Departments of Defense, Education, Justice, State, Treasury, and Veteran Affairs; the U.S. Navy and Marine Corps; as well as numerous state and local government agencies. AlgoSec is a provider of software for network security policy management, also known as firewall policy management. AlgoSec’s products automate the management and enforcement of security policies across firewalls, routers, virtual private networks (VPNs), and related security devices. Enterprises use AlgoSec’s products to manage the configuration of their security systems, identify vulnerabilities, test the systems against their security policies, reduce administrative costs, and ensure compliance to regulations such as PCI-DSS and Sarbanes-Oxley. one-stop-shop for senior government IT leaders looking for news that matters, best practices & practical insights into today’s federal IT. One Identity Solutions for Identity and Access Management, One Identity solutions eliminate the complexities and time-consuming processes often required to govern identities, manage privileged accounts and control access. Immix Group- Immix Group helps technology companies do business with the federal government. Our unique platform enables IT manufactures and their channel partners to accelerate their sales to t federal, state and local government agencies. Tech Data Government Solutions- Tech Data Government Solutions brings years of experience, strong supplier relationships and a new vision for government IT, providing a true advantage that partners and suppliers can leverage with confidence.